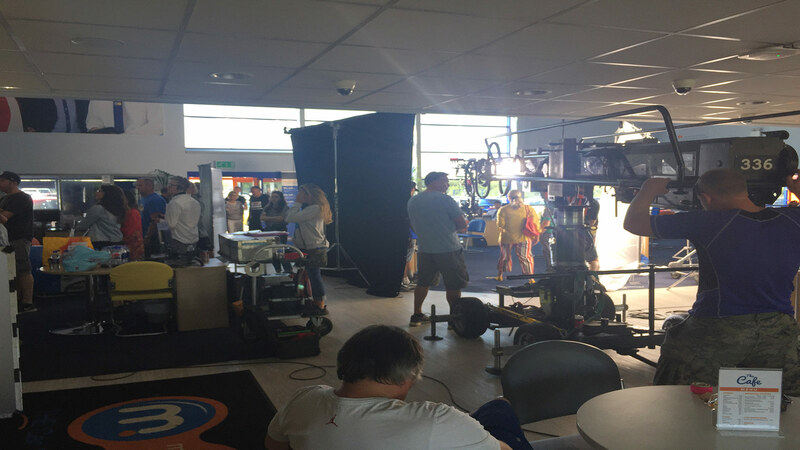 Equinox Film and TV Productions produced the new TV Commercial campaign for Motorpoint, the UK’s largest independent car retailer. 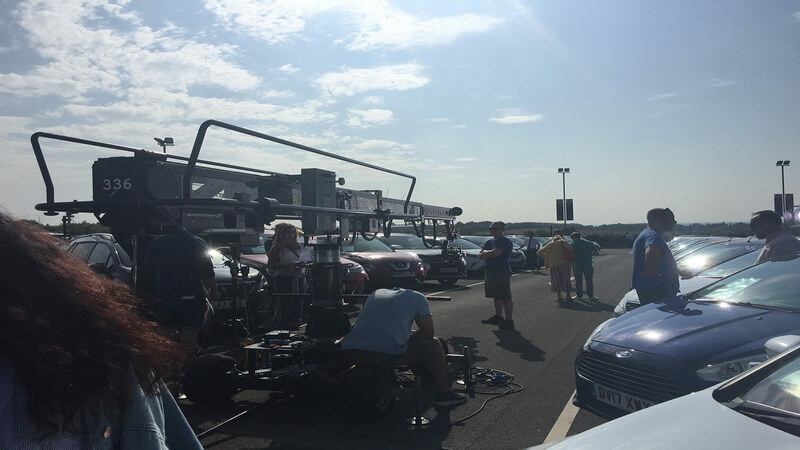 Making the decision to go back on TV for the first time in 2 years, the objective of the campaign was to focus on everyday efforts put in by Motorpoint staff to deliver the company’s award-winning choice, value and service. This integrated campaign also included delivery across Cinema, VOD and Radio. 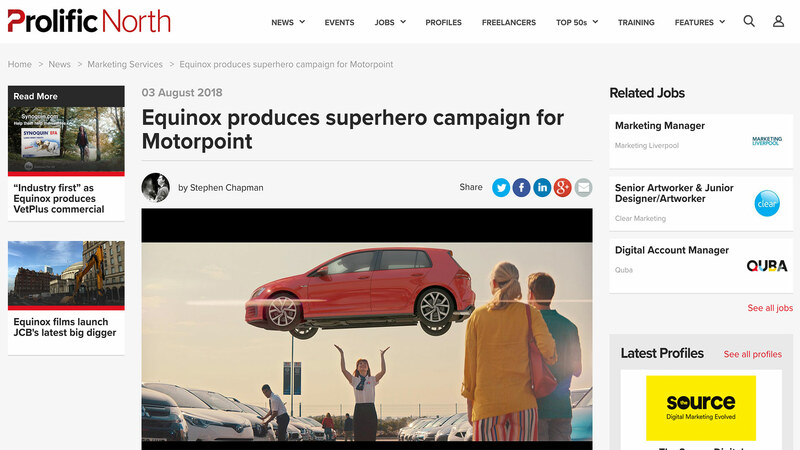 Directed by Phil Hawkins and filmed on a very hot summers day at the Motorpoint Castleford site, the Equinox team brought the ‘Superhero’ campaign to life. Featuring Superhero characters covering powers including Telekinesis, Heat-Ray, Ink and X-Ray this concept demanded the expertise and teamwork of over 50 cast and crew. The campaign broadcast across peak airtime slots in Soaps, Sporting events and dramas for maximum impact on the car buying public.